The Smoothwall System provides Secure Sockets Layer (SSL) Login as a built-in authentication mechanism which can be used by authentication-enabled services to apply permissions and restrictions on a customized, per-user basis. In the web browser of your choice, enter your Smoothwall System’s IP address followed by: /login. 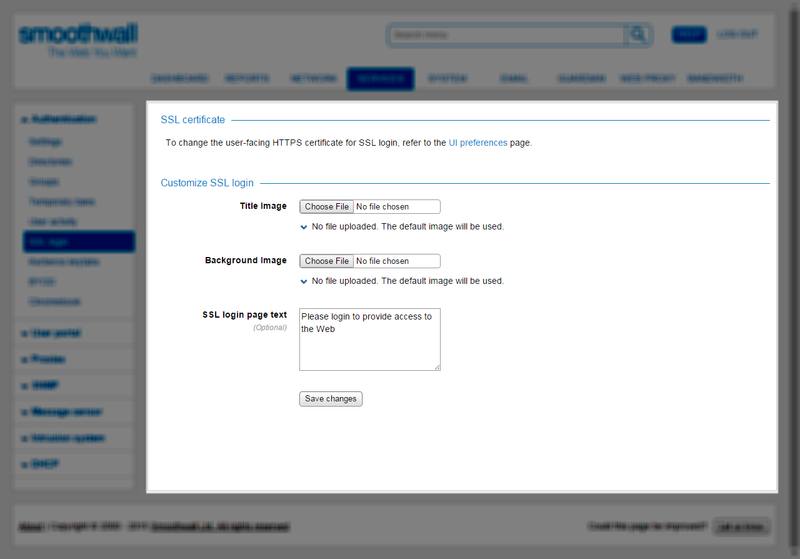 The Smoothwall System displays the SSL login page.